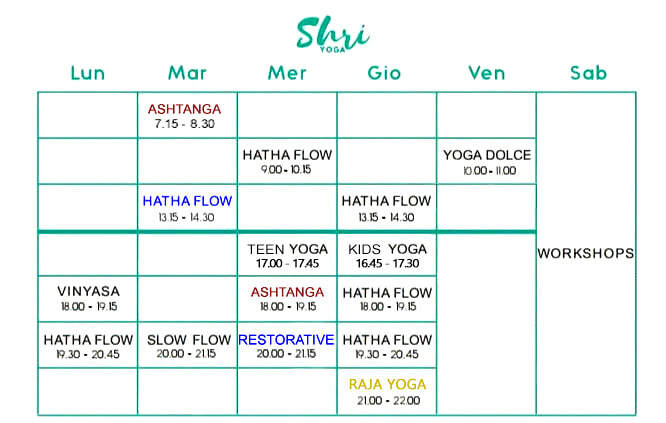 This class offers a blend of Hatha Yoga postures linked together in a slow flow open to all levels. Combining postures and movement with the breath, this class encourages proper alignment of the body and brings balance, strength, and calmness to the practitioner. Each class is carefully themed to deepen the students' experience of yoga and modifications are used to individualize the practice for each practitioner. Classes begin with a gentle warm up to stretch out body and spine, develop into more dynamic sequences and end with a deep final relaxation calming your mind, body and spirit. This fun, engaging class teaches the fundamentals of Vinyasa Yoga including sun salutations, standing poses, balancing postures, seated and reclining poses, backbends, and core isolation. Special emphasis is placed on moving in and out of postures safely. We learn the correct alignment for integral poses and how to connect these poses to the breath. Each class is built around a specific theme spiced up with yoga philosophy offering food for thought for the practitioner. Slow Flow Vinyasa Yoga allows beginners to create their own synchronized dance, while learning poses and how to move, breathe, and stretch between poses. Slow flow brings the element of time into the practice. The practitioner has time to evaluate how and when a pose should to be modified, due to physical limitations or limitations in experience. The practitioner also has the time to mentally engage with the body, as it moves through a series. Slow Flow Yoga is not restricted to beginners those with physical limitations. All levels of Yoga practitioners can find their personal challenges, as they slowly and mindfully move through a series. The pace may be slower, but challenges will be present with difficulties to work through. Poses can be refined and strengthened, without feeling rushed into the next move, next breath, or next pose. Slow flow allows a person to become familiar with his or her body, create a reflective pause, and create the time to go inward. Slow Vinyasa Yoga is a therapeutic dance of moving meditation. With yoga as the foundation, this class is filled with music and movement, hands-on stretching and animal yoga. Yoga comes to life in these fun and creative classes designed to stimulate a child’s growing curiosity. Playful yoga poses, animated breathing exercises and imaginative relaxation techniques, teach children about their budding bodies. Sprinkled with music and story-telling we’ll spark the child’s inner yogini while enhancing body awareness, motor coordination and play skills. "Yasmine's passion for yoga and her honesty in her teachings are heartfelt. In class and outside, she approaches her students with a strong presence and openess that is deeply touching."